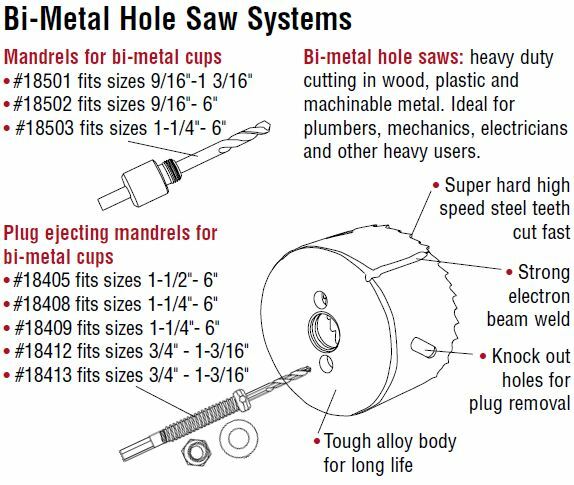 Bi-metal hole saws – For heavy duty cutting in wood, plastics, composite materials and any machinable metal (stainless steel, mild steel, cast iron, copper, brass, aluminum). 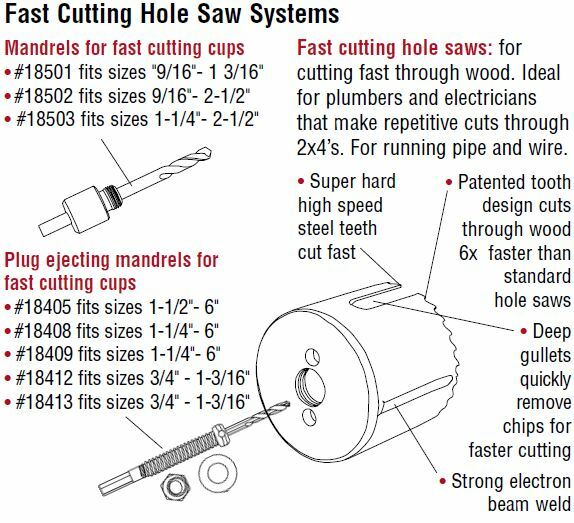 Super hard high speed steel teeth cut fast. Strong electron beam weld. Knock out holes for plug removal. Tough alloy body for long life. Includes sizes from 9/16″ to 6″. 9 piece set for plumbers, 10 piece set for electricians, 7 piece set for automotive. 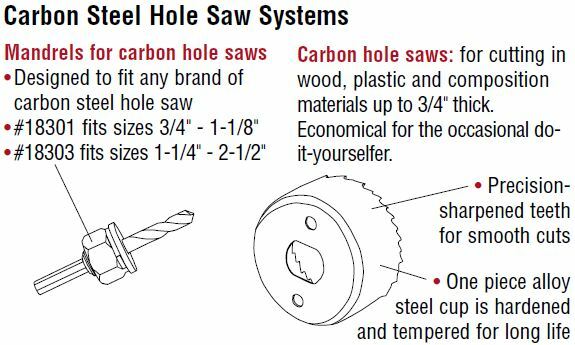 Carbon hole saws -For cutting in wood, plastic and composition materials up to 3/4″ thick. Economical for the occasional do-it- yourselfer. Precision-sharpened teeth for smooth cuts. One piece alloy steel cup is hardened and tempered for long life.